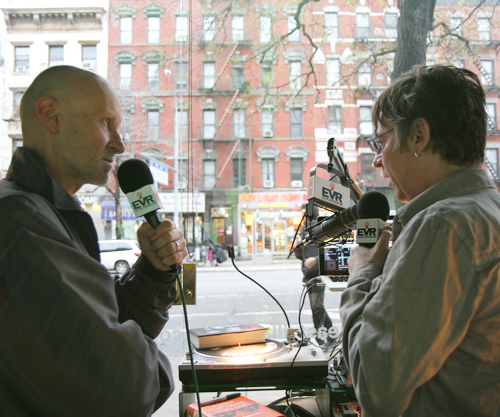 On Monday, December 17, I appeared on former Smiths bassist Andy Rourke’s show on East Village Radio. It’s the first time I’ve been interviewed by someone I interviewed as a subject for a book and I joked that Andy could exact revenge, but of course he was far too nice for that. We had a great time together on air as can be seen from the photograph below. You can hear the entire broadcast here. Later in the day I had a reading at the world-famous Strand Books on Broadway. I was thrilled by the attendance, but I was especially thrilled that Andy Rourke came along and took part in the Q&A session. You can see the entire event via Strand Bookstore’s excellent video below. Listen out for the part about Johnny Marr asked Rourke to play in Marr’s new band. You can also read a very nice review of the Strand event at the 2BitMonkey web-site here. 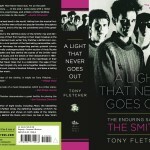 Many thanks to Andy, not only for giving so much of himself for my Smiths biography to begin with, but for inviting me on to his radio show and then stepping up at Strand at such short notice. Cheers. Hi Tony. 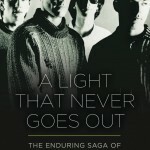 Bemused friends and family watched as I completed the reading of a 690 page history of (to them) an obscure ’80s band. I kept getting the looks you give the neighbor who’s building a boat out of two liter plastic coke bottles. 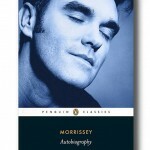 Well worth the effort however, kudos on an excellent biography that gave a real feel for the times, as well as the band. As you noted in your interview at The Strand – they merited it. I was happy to note your repeated analogies to my other favorite band, REM, and happier still to see you’ve written a book on them as well. Next on my e-book list. The Pixies and The Replacements might be future subjects.